Every year Samsung releases a new high-end Galaxy S phone. It’s usually popular. Then, like clockwork, it partners with AT&T to launch an “Active” version of said phone a few months later. formally announced this week. It’s a more rugged iteration of the acclaimed flagship that arrived this past March. It will once again be exclusive to AT&T, and will be available on June 10. There’s slightly less need for a rugged Galaxy S7 now that the main model is water-resistant, but even still, the glass and aluminium body on the latter isn’t something you’d want to put under heavy stress. 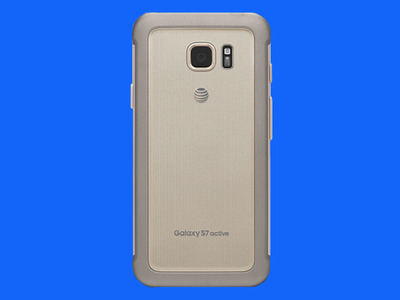 The S7 Active shouldn’t have those concerns. Its plastic-heavy frame has big, grippy edges, it’s still water- and dust-resistant, and there’s an extra layer of polycarbonate over the display. 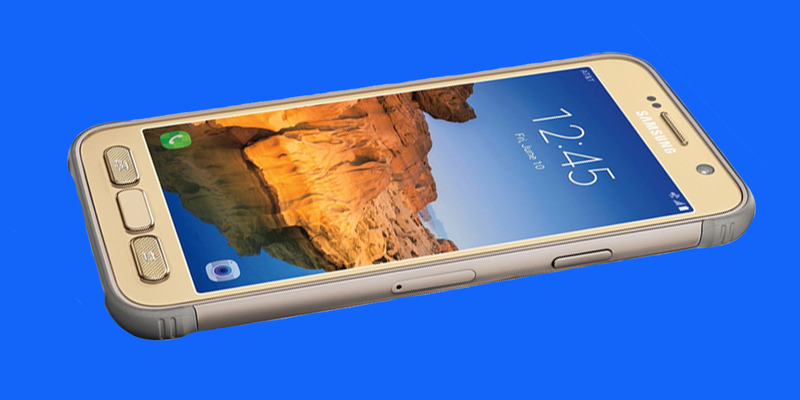 Samsung says that last bit will let you safely drop the phone from up to five feet. Essentially, it’s like having a case moulded to your S7 by default. Continuing that motif, the S7 Active is more or less the same phone as the S7 on the inside. That’s a very good thing — the 5.1-inch OLED display, Snapdragon 820 chip, and 4GB of RAM make for a phone that’s still fast and easy to gawk at. There’s 32GB of storage by default, but you can still upgrade that with a microSD card. The world-beating cameras are there, too. The one big upgrade is in battery life. While the Galaxy S7 was more than fine from a longevity standpoint, the S7 Active boosts the battery capacity from 3000mAh to 4000mAh, meaning it should hold up better as the months go on. There are downsides, of course. The most obvious is this isn’t the most aesthetically pleasing thing, to put it kindly. The big deal with the last two Galaxy S phones is that they come off like $750 phones. Here, not so much. You’re trading beauty for function. Also, this being an exclusive, you’ll have to deal with a bit of AT&T bloatware — that is, pre-installed, first-party apps that you’re unlikely to ever use. Finally, all of this doesn’t come cheap. The Active’s specs make it very much a flagship phone, and it’s priced accordingly: $26.50 per month for 30 months on AT&T’s Next plan, or $795 in total. That’s about the same as a Galaxy S7 Edge. Nevertheless, there just aren’t many phones that mix toughness and performance like this. If you’re particularly clumsy, and you can deal with AT&T, it might be worth the premium.